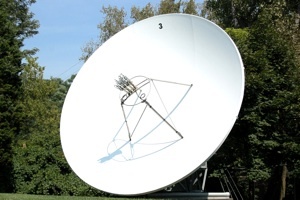 Dish Network Corp, which is the second biggest provider of satellite TV in the whole of the United States, is contemplating purchasing or partnering with a wireless carrier such as Clearwire Corp or Sprint Nexel Corp, says the firm’s chief executive officer, Joseph Clayton. “We’ll look at partnerships, acquisitions, all of the above,” Clayton acknowledged during the course of an interview in San Francisco over the weekend. Asked directly whether that could include the likes of Sprint or Clearwire, he offered a non-committal “Could be”. Sprint is currently the third biggest wireless carrier in the United States but has begun struggling in recent times against its larger rivals, Verizon Communications Inc and AT&T Inc, losing money for the last 15 quarters in a row.